As a ten-year-old tabby cat gentleman, Quincey is past his days of kittenish bouncing about and tomfoolery. He doesn’t have any desire to sprint in circles chasing a feather or toy mouse. At this point in his life, Quincey finds himself longing for the simple things in life; a soft bed to nap on, some delicious morsels to munch on, and a human companion- one with a welcoming lap and gentle hands ready to stroke a kitty in all the right places. 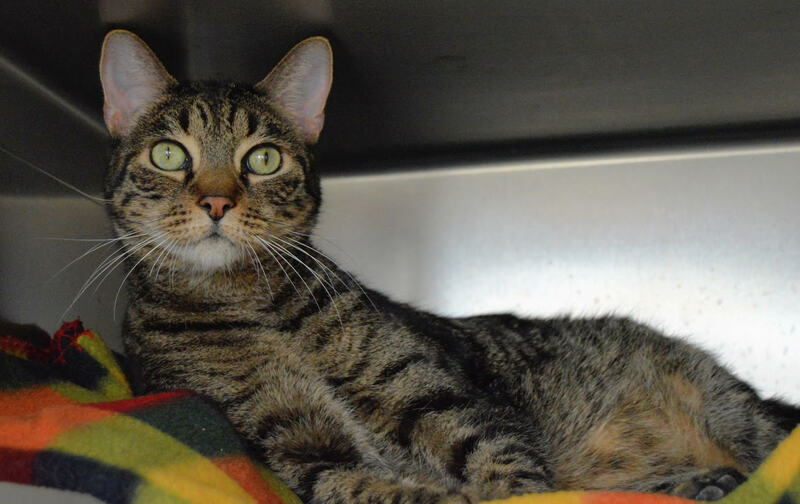 Quincey is a gentle and sweet cat who has so much love to give. If you are interested in learning more about Quincey, you can come in to Santa Barbara Humane Society, Monday-Saturday (excluding Wednesday) from 11 AM- 6 PM or Sunday from 11AM- 4PM. If you can’t come in person to visit Justin, you can call us at (805) 964-4777 or email mollyb@sbhumanesociety.org for more information. To check out more adoptable pets, visit: www.sbhumanesociety.org.